Since 1980 SMCI’s top priority has been to provide superior commercial, industrial and residential services, meeting customer satisfaction. From preliminary design build to project completion, our emphasis is completing projects on-time and within budget. 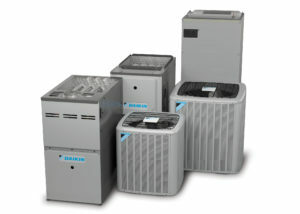 Heating & Air Conditioning Systems from the smallest residential application to large commercial/industrial systems. Boilers include commercial steam and hot water, delivering the most energy efficient way to heat and deliver hot water heating for various applications. Daikin® is a global leader, in ultra high efficient heating and cooling systems. Daikin® delivers maximum performance with system benefits being flexible design and energy savings. GeoThermal is a way to use the earth as a means to heat and cool your home, business, office or school. Chillers packaged and split system applications offered in various sizes to effectively cool your project in the most efficient way. Climate Control Systems from programmable thermostats to direct digital automation systems, providing required heating and cooling at the times and areas selected for ultimate comfort and energy savings. Planned Maintenance is a cost effective program to protect and prolong the life of your equipment. With various plans allowing us to meet your schedule and budgeting needs.